How To Make a Sub Irrigated Planter! We grow HUNDREDS of pounds of vegetables in our planters! Follow these easy DIY step by step instructions on how to make your own container garden. These planters are perfect for gardens of any size, and they’re cheap to make! What is a Sub Irrigated Planter? Sub-irrigated planters (SIPs) have been a game changer for us since we started using them almost 10 years ago. The main difference between them and traditional container gardening planters is that with SIPs water is introduced from the bottom and is absorbed up through the growing media via capillary action. This method conserves water and makes sure that moisture stays where your plants need it most – their roots. Hundreds of pounds of vegetables grown in a couple sub irrigated planters! 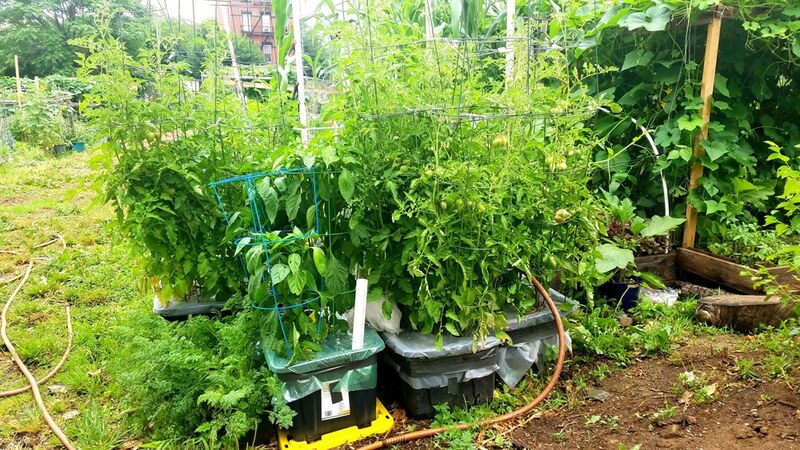 We originally learned about building SIPs when we used to garden on our NYC rooftop (and grew hundreds of pounds of vegetables!). Watering had become a daily multi-hour chore and we were looking for solutions to combat the hot and windy conditions that quickly evaporated water from the garden and always left our plants looking thirsty. There are numerous premade SIP solutions to buy but they can get expensive and didn’t really fit the level of production we wanted so we decided to build our own. Our two favorite resources are Earthtainers and Global Buckets. The first summer we used SIPs we were in love. 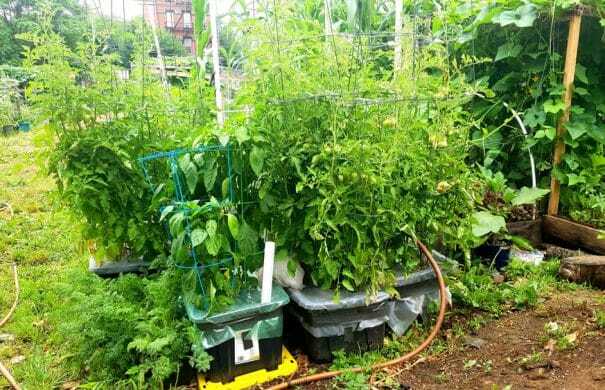 Our evaporation woes were over, watering wasn’t a constantly required chore and best of all the plants looked great – especially our 8ft tall tomato plants that were giving us pounds (and pounds!) of vegetables a day! 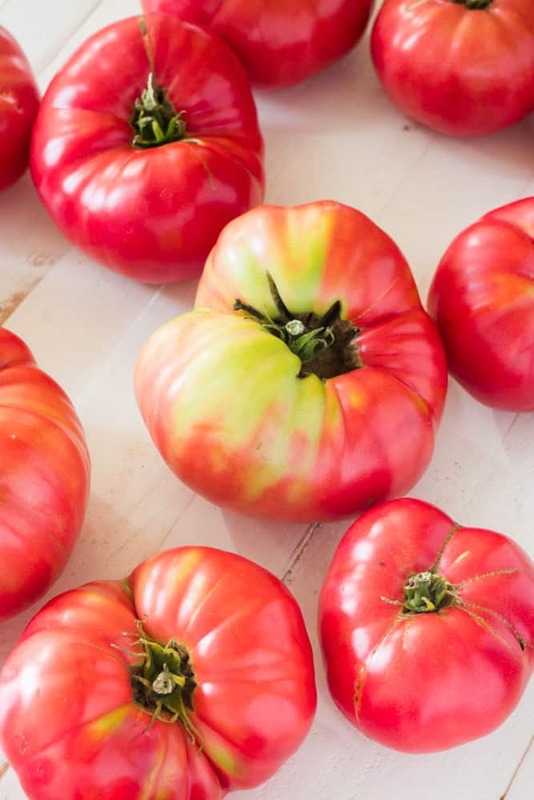 (btw need tomato recipes? You NEED to try my stewed tomatoes and cherry tomato sauce! ).